Nicole Richie is one of my fashion muses. What I love from her style is that she's very effortlessly stylish. She looks so chic from head to toe, I love her hair! 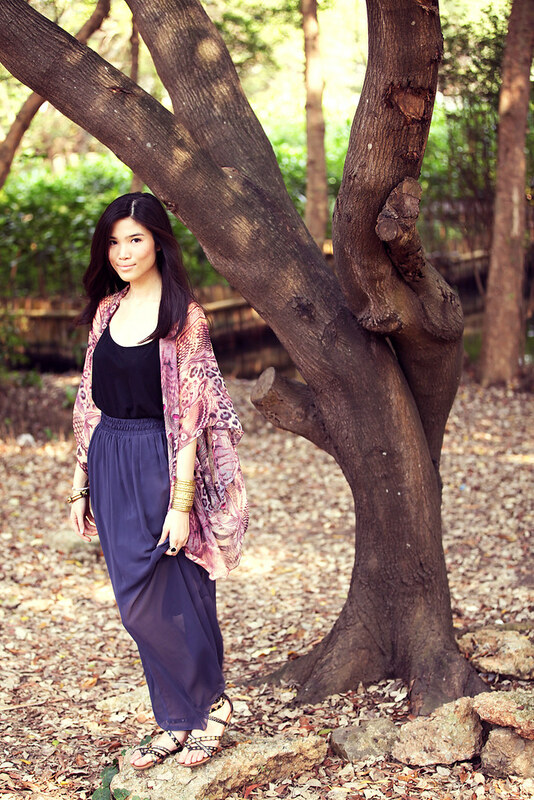 She wears oversized kimono match it with heels or flats or gladiators and oversized bag, very bohemian, very laidback. Well, even though I really like her style, I don't think I'll be able to pull off something like that. Few months back, I purchased this Supre's maxi skirt, gotta say I love it but I'm having problems wearing it. I don't think my body look good in long skirt, but then after trying few clothes on with this skirt, I remember that I have this Steve Madden gladiators and so.. I kinda style them a bit bohemian? I don't know.. I think it kinda looks good.. But ah.. I don't know.. What do you think? yesss you definitely look good in the maxiskirt !! You look so pretty ..
wow nice photo and outfit! You looks beauty on the long skirt. really lovee your lookkksss!! 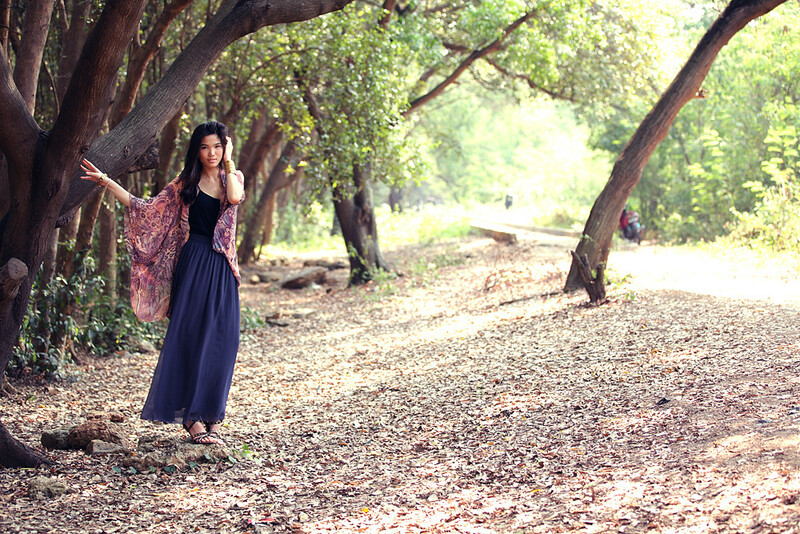 i think you love very much with sifon outer with many pattern .love itttt!! Actually the skirt looks god on you because you really have long legs :) Love your cuff ! you look soo lovely ! Very nice photos and look ! 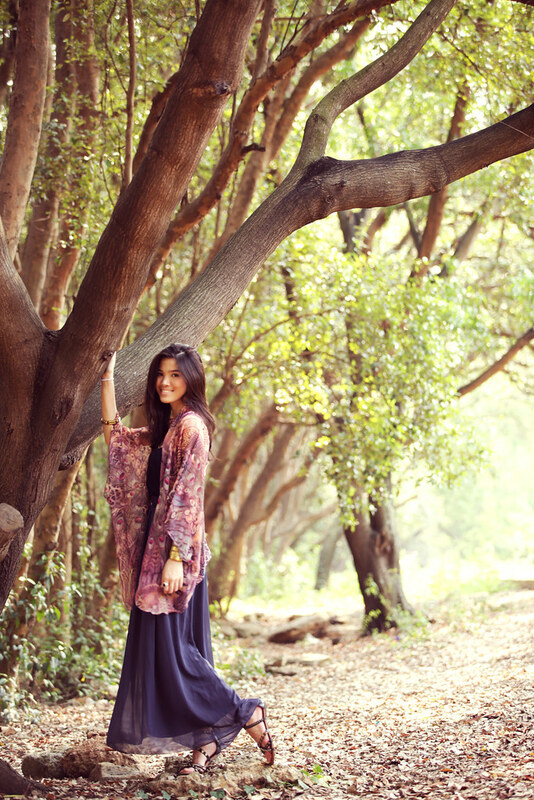 Love this bohemian outfit! You look amazing in it! Also love this magical scenery! You look amazing! And the photography/scenery is just beautiful. Beautiful photos Caroline - where were these taken? 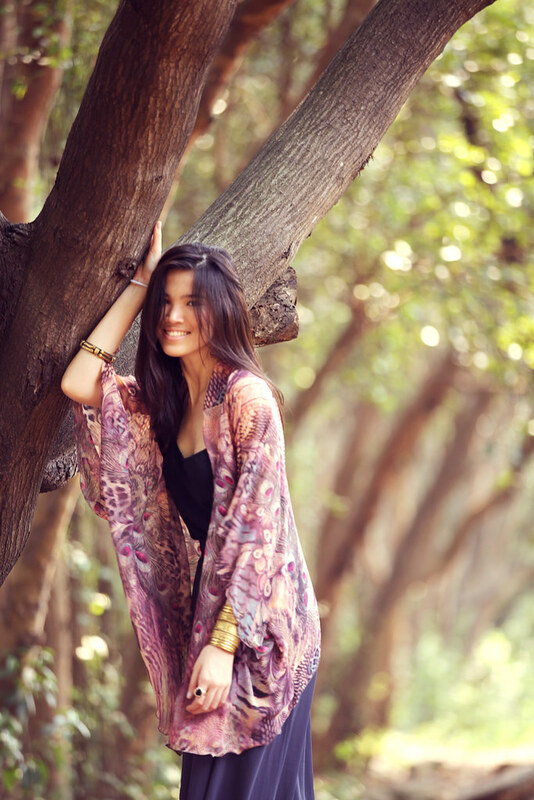 WOow AND your "Fall(icious) Boho CHIC-ittude" truly sounds more than appealing with such uber refined kimono Dear !!! This is a perfect outfit. Very elegant. Why did u ever think that ur body won't look good in long skirts?? ur body goes with everything! it's tall and thin <3 and it looks perfect on u :D btw, the place is just beautiful, where is it? u really looks so gorgeous with that maxi skirt absolutely !! love your outfit! It looks so comfy. Perfect summerhot days! I love your style, so vintage and chic!! Do you know the italian brand Il Bisonte? I'm sure you'll love it. it makes vintage handamade bags. This is such a lovely outfit and the pictures are beautiful!